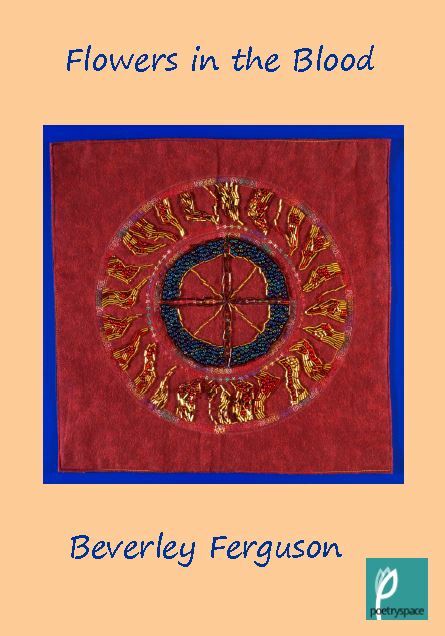 On Friday November 7th Poetry Space supporters are warmly invited to attend the launch of Beverley Ferguson’s brand new collection Flowers in the Blood. The event is at St James Wine Vaults in Bath and starts at 7.30pm. I think for all of us who write there are moments in our life when this becomes essential for survival. 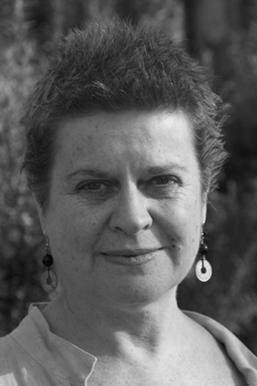 This happened to Beverley in 1999, when as a young mum with a career in the caring professions her life took an unexpected turn and she was admitted to psychiatric hospital for the first time. This and the second spell in hospital gave rise to much of the poetry in this book. However these poems are far from raw experience, as I realised when I first encountered Beverley’s work. They are well crafted poems that deserve to be read by everyone. If you have ever been a mother, a daughter, a wife or a partner; if you have been at any time in your life a patient in hospital; if you have found yourself vulnerable and at at the mercy of others for care, for compassion, for love, you will recognise yourself here and carry these poems in your heart. Do come along. There will be guitar music, you can buy drinks from the bar and you can hear me read too from my 2010 pamphlet collection Irene’s Daughter. Ferguson’s poetry is controlled and well crafted, deeply personal yet wonderfully open and fiercely impressive. She is adept at using language and line breaks.To simply call the poems in this collection brave and honest, which indeed they are, does fail to do justice to this remarkable book. Here is a poet honing her considerable poetic skills, combining an ability to communicate the small and the huge with admirable honesty and courage. A book of inner landscapes that dares the reader to delve further to reveal a greater understanding of the complexities of mental illness and beyond. I’ve enjoyed reading Beverley’s poems again. 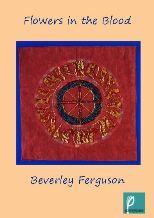 I wasn’t sure if you wanted something to quote or simply some written feedback, but the poems that have most impact on me are the ones where Beverley addresses her own mental health issues and her experience of being treated for these. “Illness” remains a favourite (and not just because I singled it out for first prize in the Poetry Space competition!). It has a hard-won simplicity about it and says more by saying less.